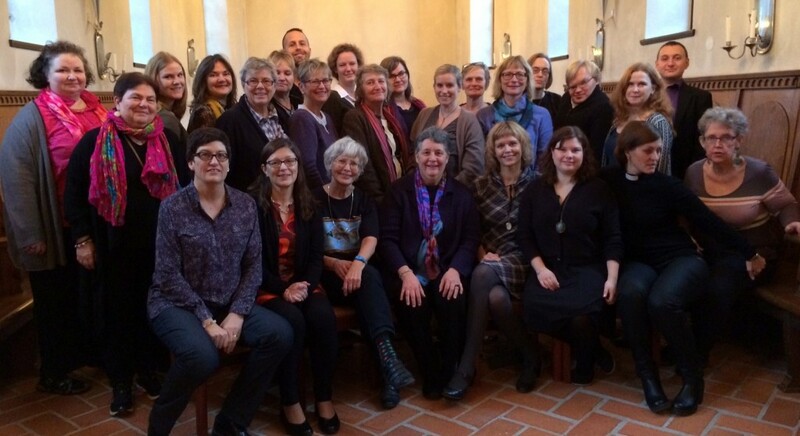 Mary E. Hunt was privileged to offer the keynote lecture at a weekend symposium on “Friendship, Theology and Sisterhood” sponsored by the Seglora Foundation and hosted by the Sigtuna Foundation in Sigtuna, Sweden, November 9-10, 2013. Participants included journalists, ministers, academics,and activists notably WATER Volunteer in Global Service, Ann-Cathrin Jarl. In her lecture, “Love Your Friends: Feminist Relational Ethics for Solidarity,” Mary spoke of friendship as foundational to a good society. Other speakers looked at historical and philosophical issues related to friendship. Mary also gave a public lecture on “Friends Act Friendly,” encouraging people to “practice” being friends in the hope of creating a most just world. https://www.waterwomensalliance.org/wp-content/uploads/Swedish-SeminiarCrop-1024x5581.jpg 558 1024 waterstaff http://www.waterwomensalliance.org/wp-content/uploads/Screen-Shot-2018-11-01-at-12.15.34-PM.png waterstaff2014-01-24 12:43:402016-04-26 13:52:25"Love Your Friends" and "Friends Act Friendly"
Safety for Women Writers February 2014 Ritual: Celebrate Brigit’s Day, Let Spring Begin!